A number of Senate Republicans were aghast Thursday at GOP Senate candidate Roy Moore, who is accused of initiating sexual contact with a minor. In a story first reported by The Washington Post and confirmed by CBS News, four women accuse Moore of pursuing them when they were teens and he was in his 30s. A woman named Leigh Corfman says that when she was 14 years old in 1979, Moore initiated a sexual encounter with her when he was 32 years old, The Washington Post reported. Three other women told the Post that Moore pursued them when they were between the ages of 16 and 18. Sen. Luther Strange, R-Alabama, the outgoing senator defeated by Moore in the GOP primary, said "it's very, very disturbing what I read and I'll have more to say about it after I learn more." Sen. John Thune, R-South Dakota, said "I think our folks are looking into what the laws allow for in terms of Alabama when it comes to replacing candidates on the ballot...the allegations, if true, to me, mean he needs to step aside. "If the revelations are true I don't think there's a place for him in the U.S. Senate," Sen. Richard Shelby, R-Alabama, said. Sen. Jeff Flake, R-Arizona, said that the allegations are "appalling." McConnell and other top senators and members declined to answer any shouted questions from reporters after a brief press availability about tax reform. In the Post report, it says Moore approached Corfman outside a courtroom in Alabama while her mother was inside at a child custody hearing and struck up a conversation with her. He asked for Corfman's phone number and picked up a few days later near her house and drove her to his home in the woods 30 minutes away, the report said. Moore told Corfman "how pretty she was and kissed her," the report said. Moore, on a second visit, took off Corfman's shirt and pants and he removed his own clothes, the report said, which added that he touched her over her bra and underwear and "he guided her hand to touch him over his underwear." 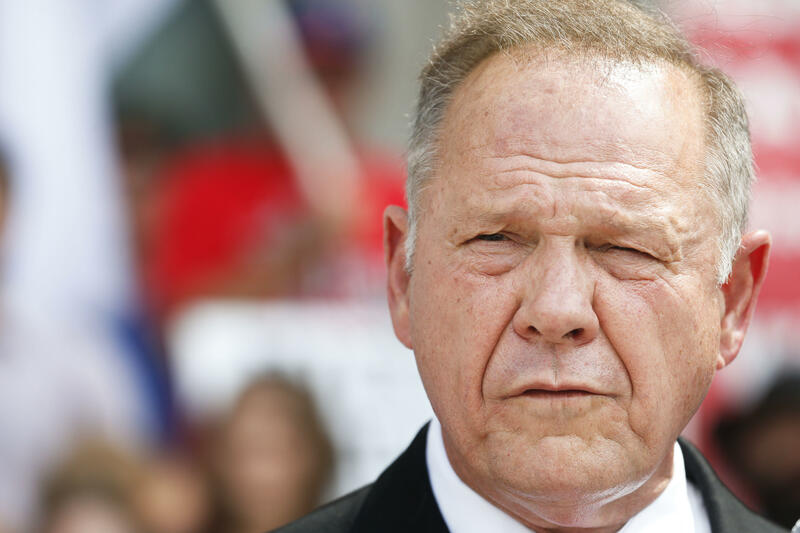 Three other women told the Post in recent weeks, the report said, that Moore pursued them when they were between the ages of 16 and 18 and he was in his early 30s, working at the district attorney's office. He gave some of them alcohol -- at a time when the legal drinking age was 19.